University of British Columbia (UBC) Professor of Political Science, Yves Tiberghien, an Asia Pacific Foundation of Canada Distinguished Fellow, has been named Knight of the National Order of Merit, a French distinction. Officially nominated by the President of France as "Chevalier de l’ordre du mérite," the medal rewards "distinguished civil or military achievement." 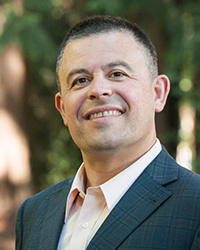 Director Emeritus of the Institute of Asian Research and Executive Director of the China Council at UBC, the award recognizes Tiberghien’s work on topics of global governance supported by both France and Canada. Tiberghien, a political economist of Asia and one of Canada’s leading China experts, was nominated under the Foreign Ministry category and will be recognized at an official diplomatic ceremony at a later date.